My name is Antonio, I am 32-years old and I am from Croatia. I started with aquascaping approximately ten years ago after viewing pictures of Mr. Takashi Amano’s tanks on the Internet. I was impressed with what I saw and decided to assemble something like that in my home. 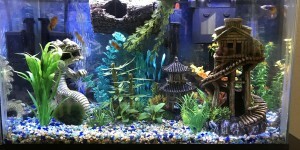 At the moment, I am maintaining 12 aquariums with the smallest being 1 gallon and the largest 148 gallons. SETUP: Some of the aquariums are mainly for cultivating plants, a few are shrimp tanks and 5 are aquascapes. Recently i turn this hobby into the business – i have opened an online shop with rare aquarium plants. 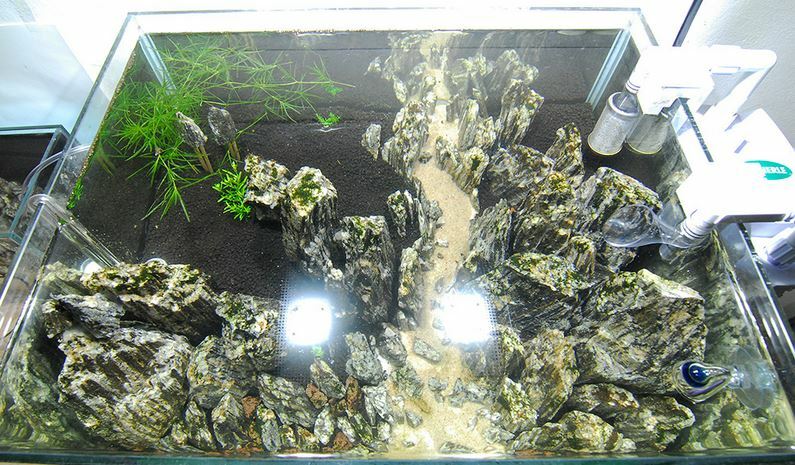 This tank has dimensions: 45x36x31 cm (50 liters or 13 gallons). I am also using Chihiros Doctor unit that prevents algae. MAINTENANCE: I trim the plants every 7-10 days – stem plants at the background. Moss on the rocks growing slowly so they don’t require that much attention. 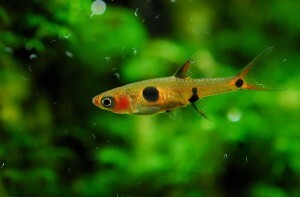 I am doing 50% water change on weekly basis using 50:50 RO:tap water as my tap water is quite hard. Tank parameters i usually rarely checking. I have done it specially for this interview. KH7, GH9, pH6.8, temp. 24’C, EC 590us. I am fertilizing by EI method. INHABITANTS: In this tank i am keeping Boreas maculata and briggitae, one Ottocinclus and Ramshorn snails which i found very helpful on keeping rocks and glass clean of GSA. 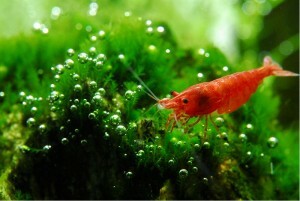 There is also a few Red cherry shrimps. 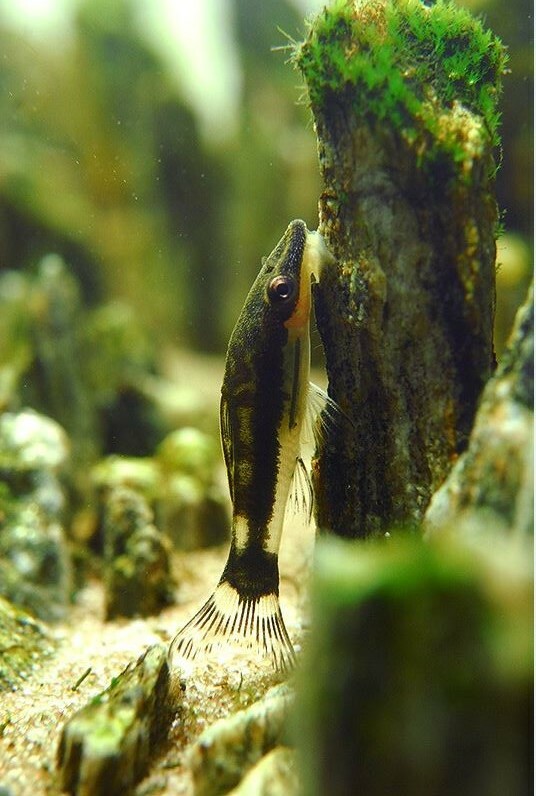 Fissidens fox, Fissidens sp. ‘Dwarf’, Cryptocoryne parva ‘Mini’, Hemianthus glomeratus, Rotala sp. ‘Wayanad’, Rotala boschii, Rotala sp. ‘Mini type 2’, Ludwigia arcuata, Bucephalandra sp. ‘Kayu Manis brown’. All this is doing great in parameters listed above. FEEDING: I feed fishes once a day with various flakes and one or 2 times per week i am giving them Microworms – Boraras I adore them. 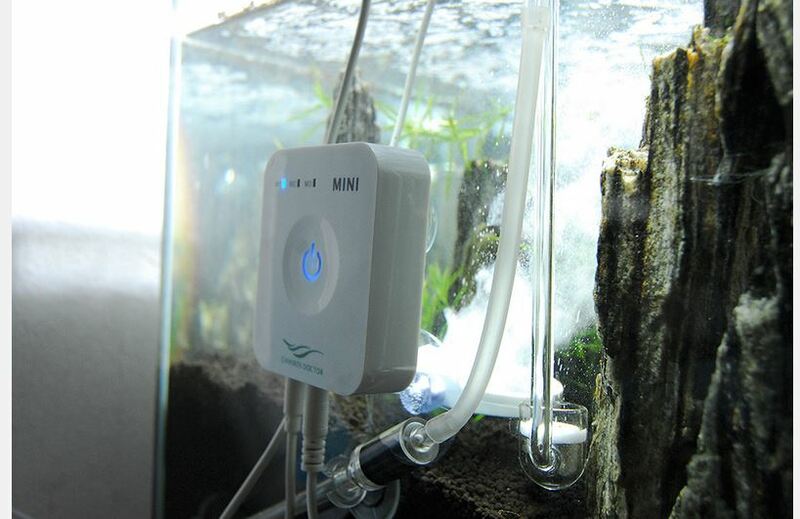 CONCLUSION: With this aquascape I am participating on IAPLC 2016 (as well as on some other aquascaping contests). As i don’t want to violate the IAPLC rules, I will post the final photo after IAPLC announcement in my forum thread. It was a honor to be chosen for TOTM. I would like to thank all who voted for my tank. Filed under Featured, Plant Profiles, TOTM.